Emotions are stretched as tight as a rubber band just before it breaks and the excitable Aries Full Moon on October 16, 2016 (ET), is the moment of truth. Our nervous systems are on edge; we must make every effort possible to reduce the tension or something will suddenly snap. One way or another, change is inevitable since the Full Moon is closely joined to irrepressible Uranus. Additionally, this lunation is flavored by an emotionally intense Mercury-Pluto square that compels us to speak the truth, even when inconvenient. Every Full Moon symbolizes the tension of opposite forces and this one is all about the polarity of relationships. Aries is the sign of the self and the Aries Moon represents the primal needs of each individual. The dance between the Libra Sun and this Full Moon is all about reestablishing harmony wherever needed. The Moon’s connection to electric Uranus indicates nothing will stand in the way of achieving satisfaction. The lightning of Uranus will strike to settle an imbalance of energy. Instead of waiting for a crisis to occur, we can preemptively create equilibrium, establish common ground and prevent a problem before it manifests. 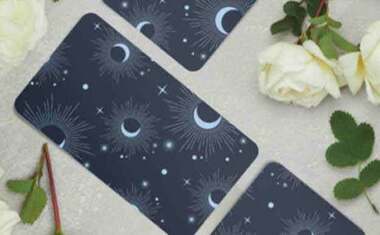 Find guidance for the changes this Full Moon brings with a Mandala Changes Tarot reading. Relationship insecurity could sap your vitality as you exert your need for independence. The feelings of a significant other can be a major source of concern as the Full Moon in your impulsive sign opposes the Sun in your 7th House of Partnerships. Hopefully, you’ve already made significant decisions that are positively affecting your personal life. Now it’s time to take things to the next level. If you’re bogged down in an emotional funk, shift your thinking. If you can’t change the situation, change your attitude. You may be more tempted to flee than to fight when the spontaneous Aries Full Moon lights up your 12th House of Escapism. However, it’s far healthier to lead than to follow when it comes to conflict resolution. Ultimately, the message is simple: stay conscious of the impact of your actions before making your move. Maintaining your cool in the midst of a struggle that threatens your long-term plans is the best way to stay on track. Keep in mind the quickest route is not necessarily a straight line. You’re inclined to take a risk before considering all the ramifications of your current actions, leading to an unscheduled lesson in instant karma if you extend too far. 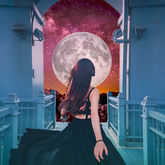 You’re eager to take charge of your life as the incorrigible Aries Full Moon highlights your 11th House of Long-Term Goals, pushing you forward whether you’re fully prepared or not. However, you could lose your sense of direction if you move too quickly. You know you’re on the right path when you become uninterested in looking back. Unexpected changes in your daily routine are best met with short-term solutions. Try not to overreact if your status at home or in the community feels threatened. Take whatever time you need to fully assess a situation that’s still in flux. Although the Aries Full Moon brings instability to your 10th House of Career, making your home a more peaceful place creates a firm foundation on which you can build the next phase of your life. When you are unable to find tranquility within, it’s useless to seek it elsewhere. Complications at work and at home won’t likely be simplified until you reveal your new personal vision for the future. Nevertheless, you must handle any misunderstandings that arise before you can take complete advantage of the fearless energy of the Aries Full Moon that shines in your 9th House of Big Ideas. As hard as it is to be aware of the potential in every difficult situation, your positive thinking carries more influence than you realize. What consumes your mind, controls your life. Intense discussions with a business or personal partner tend to gravitate toward financial topics. A heated debate may reopen old wounds and, hopefully, release their toxic effects once and for all. A reassessment of jointly held property may be required as the Aries Full Moon rattles your 8th House of Shared Resources. An unstable relationship might be pushed right to the edge, yet you can seal the deal at the very last minute if you consciously express your willingness to take things in a new direction. Open your mind before your mouth. Although it might seem as if you’re standing still, the powerful tides are actually changing directions. The enterprising Aries Full Moon energizes your 7th House of Partners, revealing an entirely new path that you can take into your future. Unfortunately, it’s not yet clear where the current circumstances are leading. Nevertheless, your negotiating skills are being called into action as you attempt to settle an old score. It’s time to bring relationship issues to the front burner while you are motivated by a commitment to your own agenda. Self-sacrifice is often much easier than self-realization. You may be highly sensitive to invisible forces as conversations deepen, sending your thoughts inward to unravel the mystery of relationships. A clear sense of your identity is your foundation for learning what you need from others. However, a crisis in awareness is in the making when the pioneering Aries Full Moon occurs in your 6th House of Health and Habits, revealing lifestyle choices that need to be adjusted. Retreating from the world for a while can provide you with the objectivity necessary to recognize your strengths and weaknesses. Self-reflection is the school of wisdom. Participating in new forms of merriment and self-expression is exhilarating as long as you don’t upset your friends and colleagues by ignoring their immediate concerns. The spontaneous Aries Full Moon brightens your 5th House of Love and Play, tempting you to leap before you look. If your restlessness makes you too impatient to get along with others, work independently until the dust settles. The more you love your decisions, the less you need others to love them too. Wild ideas and chaotic communication continue to spike your nervous system, leaving you so wired that it’s impossible to relax. A squabble with a relative is possible as the combative Aries Full Moon lands in your 4th House of Home and Family. Thankfully, a quantum leap in awareness can clear the decks of outmoded dreams, making way for exciting new ones. The potential shakeup of long-term plans casts your career path in a different light. 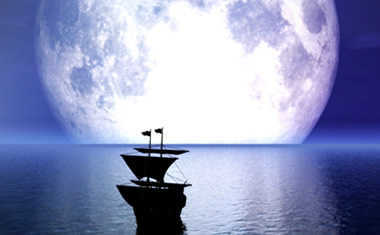 Nevertheless, don’t make a choice just yet; there are still a few surprises ahead that could redirect your trajectory. Trouble surfaces when a stark contrast between your priorities and those of someone you trust is brought to light. Money matters could come to a head when the reactive Aries Full Moon illuminates your 2nd House of Income. If you recently rushed into a financial commitment, it may be cheaper to back out than to push your luck further. Economic independence is an admirable goal yet this lunation’s opposition to the Sun in your 8th House of Shared Resources suggests you shouldn’t try to go it alone. Competition makes you faster; collaboration makes you better.